The best thing about women's clothing is variety. Women are blessed with the opportunity to wear different types of attire. Even in a type of clothing, there is variety. For instance, the tunic top which is popular attire among women of all ages is something that is found in different varieties. This piece of clothing is comfortable and classy at the same time and is ideal for all occasions. Tunics are available in different patterns and varying lengths. Designers have experimented with the patterns in terms of length, cut, neck shape, type of sleeves, etc. 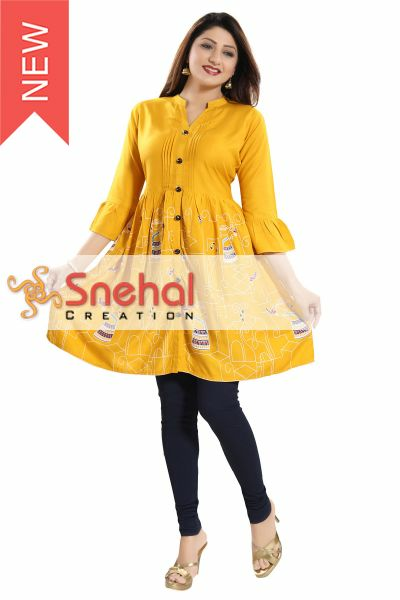 While there are several conservative style kurtis with medium or full length sleeves, you can also go for a bold look with tunic varieties that are backless or perhaps sleeveless. Lots of variations are seen in the type of fabrics used. 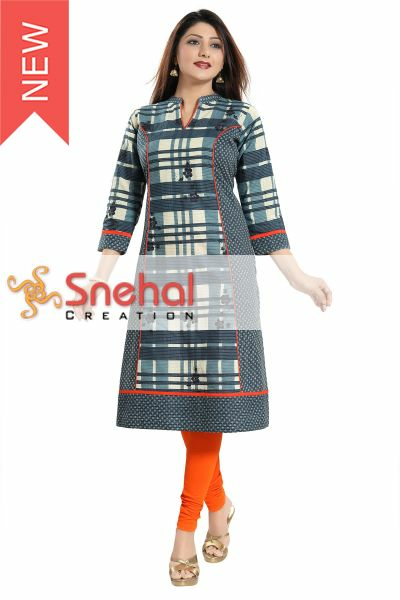 Tunics are available in cotton, silk and other such materials. Although plain tunic tops in different colors are quite popular, printed ones also look beautiful. Tunic tops in floral prints as well as laces have become quite hit among women as they have feminine charm. Apart from this, you can also go for tunics that have sequins and embellishments on them. Such type look great as party wear. 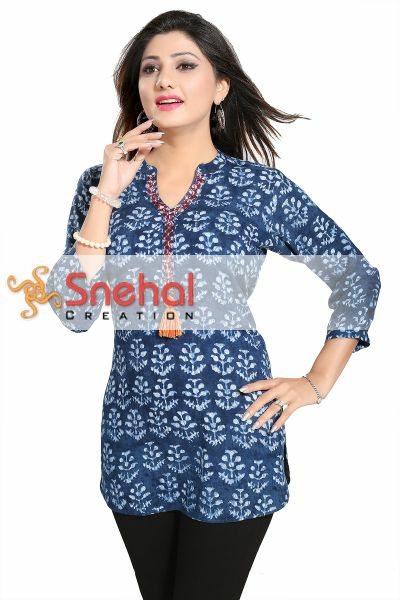 Plain looking tunics can be given a stylish look with elegant embroidery and beaded work. Embroidered and beaded tunics are great for casual as well as formal wear. Tunic tops look great when paired with the right kind of bottom wear and accessories. Leggings, skin fit jeans, jeggings, etc., look great with tunic tops, sweaters and shirts. You can also turn the tunic top into a dress. Adding a good looking belt to the tunic dress would make it look great. 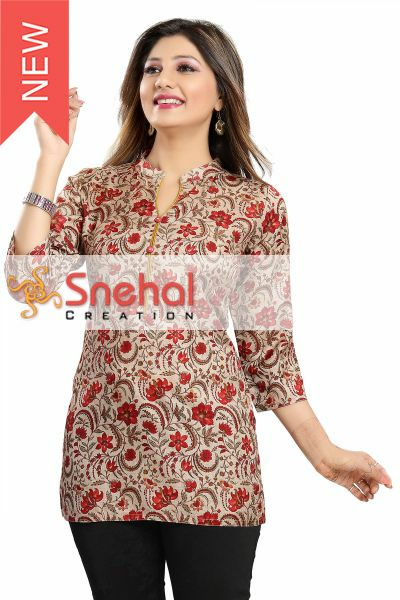 At Snehal Creations, you have access to a variety collection of tunics. So, what are you waiting for? 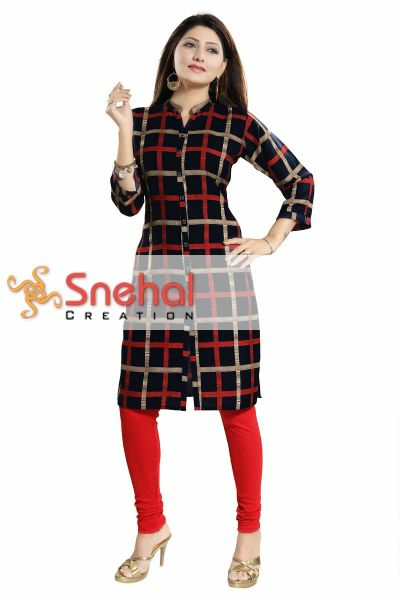 Click your mouse and get home some beautiful and colorful tunics.